I know I’ve mentioned several times that I am half Greek-Cypriot – in Cyprus, my cousins always called cartoons Mickey Mouse. It didn’t matter if it wasn’t that famous Disney mouse in them, that’s what they were called! I would look forward to going around to my grandparents house, because we would get to watch the tapes of Mickey Mouse that my Bapou (grandad in Greek) had for us to watch. 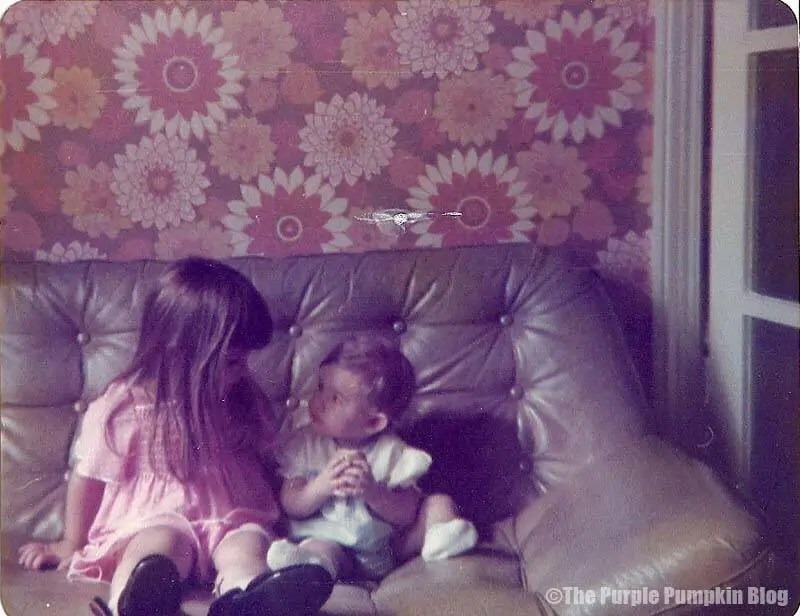 He would record them on his Betamax player from the television, and we were allowed to watch them after my Yiayia (grandmother in Greek) had watched her programmes. I remember grumbling because her television shows were so boring! But then the tape would come on, and my sister and I would sit and watch the cartoon shorts, featuring an array of characters, and a lot of Disney cartoons – Mickey Mouse, Donald Duck, Goofy, and Chip ‘n’ Dale. This memory popped into my head when I activated my subscription to DisneyLife, and apart from the fact that I couldn’t contain my excitement to have so many fabulous Disney movies and TV shows to watch, I was suddenly transported to my childhood, when I spotted several cartoons that I remember watching as a kid, all the way back in the early 1980s. They were the same cartoons I was transfixed with as a kid; that I haven’t watched since in the 80s, and wow, did they bring a smile to my face. Unfortunately they are just short versions, so I do hope that the original versions appear on DisneyLife one day. Donald Duck preparing waffles while the instructions were being read out the radio…confidently adding the ingredients without looking, when he picks up a bottle of rubber cement instead of milk, and starts to whisk it together. The result ended up in some hilarious outcomes, and Donald getting very angry, with his trademark tantrum ensuing. I also remember other Donald Duck cartoons also featuring Chip ‘n’ Dale – I hope to see more of these old classics on DisneyLife soon. Goofy learning how to swim, practising the movements on a stool – which I remember me and my sister doing too! These “how to” cartoons were always narrated, and fascinated me. I remember another one with Goofy building a house, and another where he learned how to play baseball. Can’t forget Mickey Mouse… teaming up with Goofy and Donald as the original Ghostbusters! Entering a house they have been called to investigate – by the ghosts themselves! The spooky spectres scare the trio at every turn, only for it to backfire on them in the end. Brilliant! 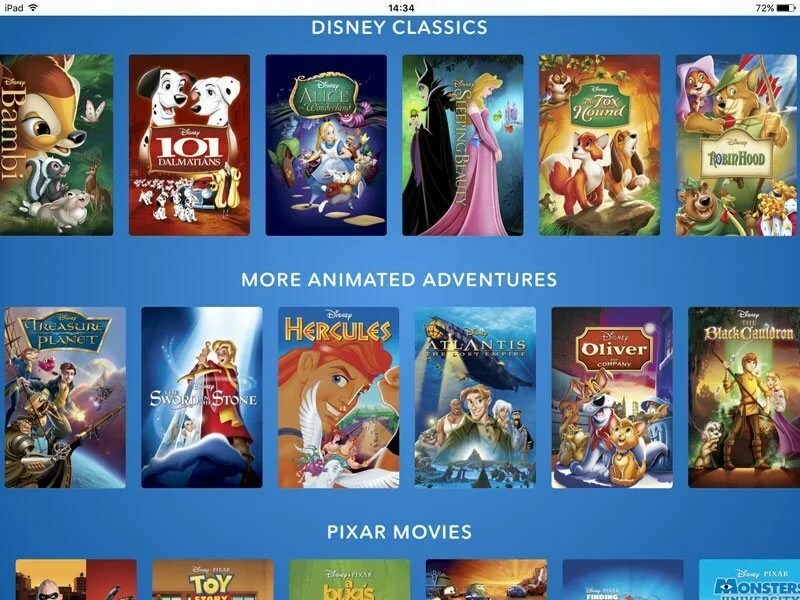 But it wasn’t just this particular memory… as I scrolled through the the animated movies to see what was available to watch, I saw some of my childhood favourites – notably (and coincidentally, all in a row) Sleeping Beauty, The Fox and The Hound, and Robin Hood. My dad used to belong to a local video store (remember those?!) and would hire out Disney movies for us to watch. The first time I ever saw many of these Disney Classics, was through those ones dad hired. I remember sitting with my sister watching The Fox and The Hound, as Tod and Copper ran around with childhood innocence, then Tod being taken back to the wild, and the song that was sung during this scene… oh those tears we shed! And that I do still shed when I re-watched it during my Disney movie marathon I had the other weekend. Then there were the films that I took my son to watch in the cinema when he was a little boy. One that stands out is Treasure Planet, that had such poignancy at that time, because his dad and I had just split up, and he had watched his dad walk out the door. That scene in the film where this happened to Jim Hawkins, made me weep in the dark cinema. But time is a healer, and we saw several other great films, including The Tigger Movie, a bugs life, and Cars… then I remembered the Disney films my mum took me to watch when I was younger, the stand out one is Mary Poppins – I still love that film to this day. 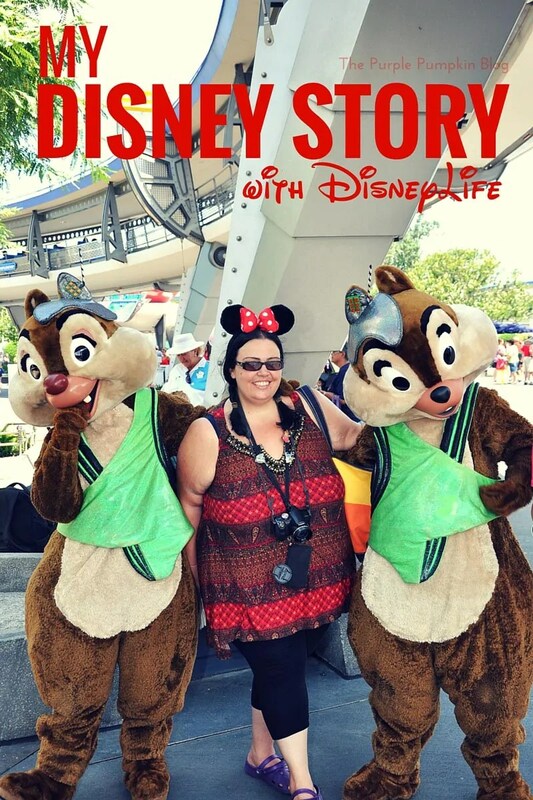 If you are a regular reader of my blog, you know that I am a huge Disney fan, with all of these memories, you’ll see that my Disney story is a long one! And don’t forget to check out my new Disney focused website – Disney Tips And Trip Reports! I shared a post about the Disney Animated Classics that I have never watched – I am so happy to see some of these on the movie list, so another Disney movie marathon is on the cards! With several hundred movies to choose from – not only animations, but live action movies too like Pirates of the Caribbean (but no Star Wars… yet!) I foresee several of these marathons! But it’s not just Disney stories in the form of movies, available on DisneyLife. There are also TV shows, books, music and apps to watch, read, and listen to. The layout is bright and inviting, and I find it very intuitive to use. There is a search function, so you can quickly see what is available in your favourite character (I would like to see more Chip ‘n’ Dale please!) You can also explore all the movies by type – animation, live action, action, adventure, comedy, and documentary. You can also explore certain character worlds. For example, if I tap on Mickey Mouse, I am presented with all the movies, shorts, classic cartoons, books, music, and storytellers (audio books) that have Mickey Mouse in them. Then, I’ve got the option to explore more about other related characters. 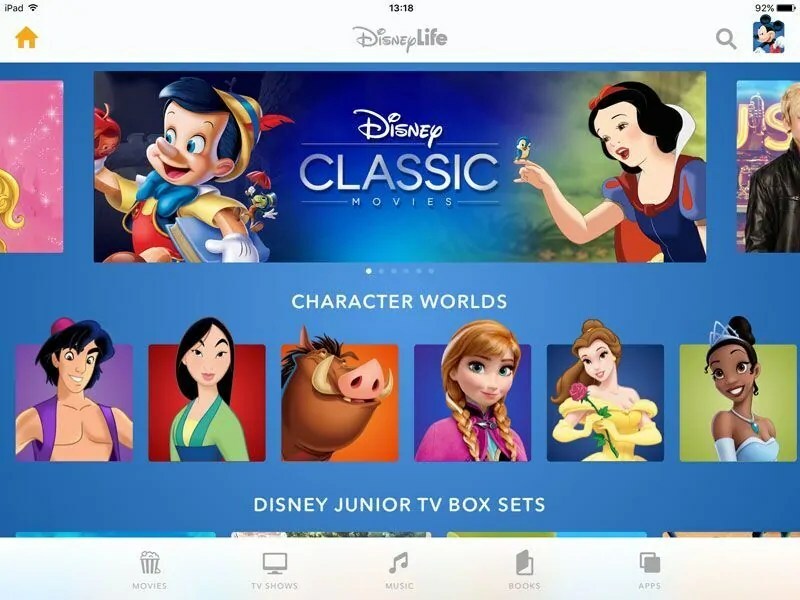 DisneyLife is available as an app – I have it installed on both my iPad, and iPhone (which I can send through to my Apple TV, so I’m not limited to a small screen!) – as well as on a desktop computer, so yes, a few sneaky watches of short cartoons happen when I should be working! Download DisneyLife for your home computer, as well as in the App Store, and Google Play. 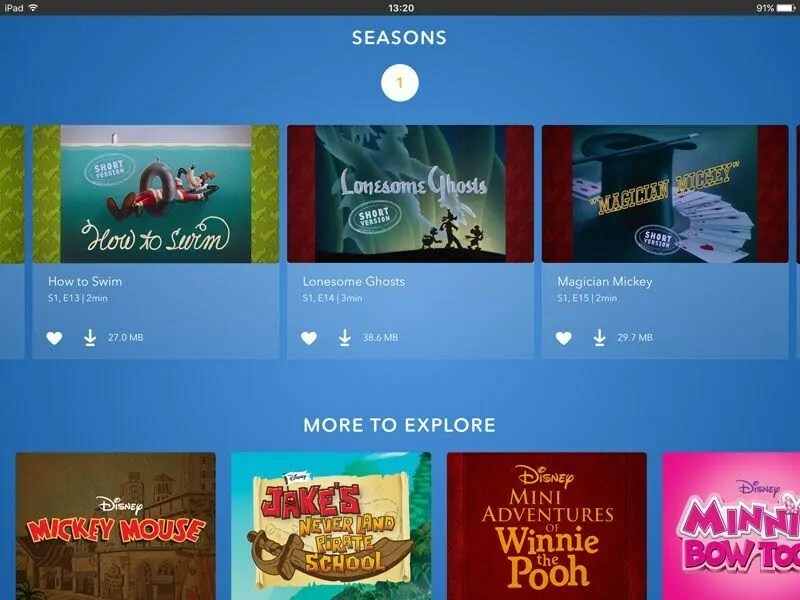 DisneyLife is the subscription service offering the biggest collection of Disney movies, TV, books, music and more, all in one place for the first time! Other than your subscription, there are no in-app purchase costs. Enjoy uninterrupted streaming of movies, TV and music with no adverts. There are no hidden fees and you can try the first month FREE. After that you will pay £9.99 a month and can cancel any time. Manage your kids’ time with built-in parental controls and rest assured, there are no in-app purchases once you’ve signed up. Create up to 6 profiles and add up to 10 compatible devices. Unlimited streaming in the UK (if via 3G/4G, data charges may apply). Enjoy on the big screen via Airplay with AppleTV, or Chromecast. Choose a free premium Disney app download every month with your subscription. Check out some of my other Disney stuff: My New Obsession: Disney Magic Kingdoms Game, Free Disney iPhone Wallpapers, Disney Vacation Tips.